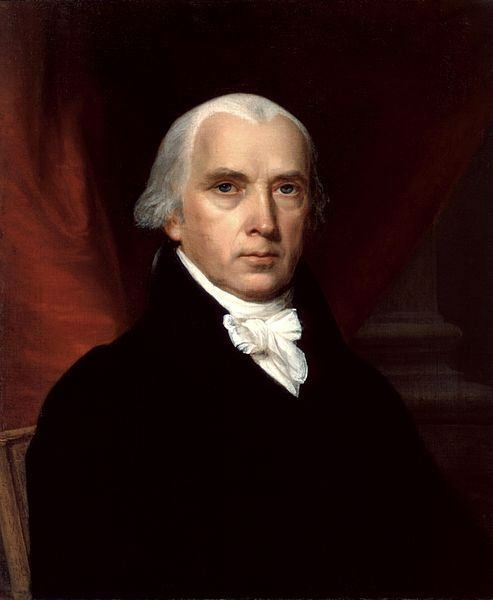 On this day in history, June 8, 1789, James Madison proposes the Bill of Rights to Congress. Acceptance of the US Constitution and been a long and arduous process. Many people were wary that it would create a federal government that was too powerful and no different than the one they just overthrew from England. Federalists supported the new Constitution because a stronger federal government was necessary to hold the country together. Anti-Federalists were skeptical. They advocated a smaller and weaker government than what the Constitution called for and also wanted a bill of rights added with it. A bill of rights is a list of rights guaranteed to the people upon which the government cannot infringe. Several states were split into camps of roughly equal Federalists and anti-Federalists. If some of the anti-Federalists did not switch sides and support the Constitution, its passage would be in jeopardy. To remedy the problem, Federalists offered a compromise. It the anti-Federalists agreed to support the Constitution, the Federalists would agree to support the adoption of a bill of rights during the First Congress. This persuaded enough anti-Federalists to support the Constitution and it became the law of the land. James Madison, the chief architect of the US Constitution was slightly worried about all this talk of amending the Constitution. The Constitution explicitly stated that the government would only have authority over those things that were expressly given to it in the Constitution. Adding a list of rights that the government could not interfere with might imply that anything not listed was fair game for government interference. In addition, Madison worried that if the First Congress began altering the Constitution, they might alter it right out of existence. Madison finally had to agree to the addition of a bill of rights, but he developed a strategy to keep himself in control of the discussion and the results. He sifted through the dozens and dozens of suggestions for amendments made by the states. He carefully chose 20 which were the most commonly desired, which fit nicely with the overall spirit of the Constitution and with his own vision for the government. On June 8, 1789, Madison made a speech to Congress in which he proposed these 20 amendments to the Constitution. 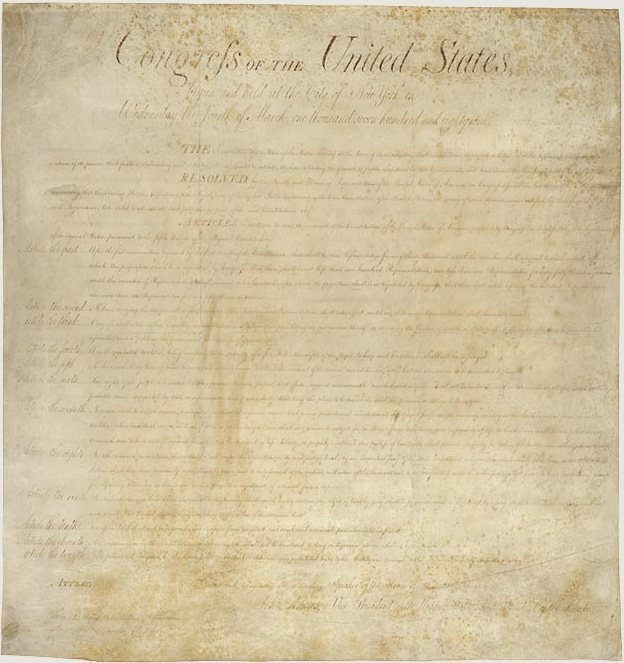 The rights included such things as freedom of speech, freedom of religion, the right to keep and bear arms, the right to trial by jury, freedom from cruel and unusual punishment, freedom of the press, the right to have an attorney represent you and freedom from being tried for the same crime more than once. Congress debated the amendments and sent twelve of them to the states for ratification. Ten of them were eventually ratified by the states. Since the Constitution requires 3/4 of the states to agree to any amendments, 11 votes were needed for each amendment. 11 votes were necessary because Vermont was already the 14th state by this time. On December 15, 1791, with Virginia's vote for approval, these Ten Amendments became law and were amended to the end of the Constitution. They are what we now call the Bill of Rights.